From October 1st a 5p charge for plastic bags is being introduced in Wales. This measure has taken three years to come to fruition, partly because of the timidity and lethargy of the Labour government in Cardiff Bay, but mainly because of the bureaucratic obstacle course Wales was required to negotiate to implement even the smallest divergence from policy set in Westminster. It took the victory in the referendum on law-making powers to give Wales the smidgeon of extra leverage needed to introduce the ‘plastax’ at last. This is thus the first noticeable autonomous Welsh law since that historic vote in March. There can be no argument against this tiny charge. Something like 400 million free plastic bags are handed out by shops in Wales every year. Taking 1000 years to decompose, steadily leaching toxins as they do, they clog landfill sites, blight landscapes, poison wild animals and choke our seas, rivers and roadsides from the Wentloog levels to the summit of Snowdon, while microscopic particles of shredded plastic find their way deep into every ecosystem and living creature, including humans. The ultimate symbol of the profligate, uncaring and short-sighted throwaway society, plastic bags are just one among countless environmental problems inflicted on the planet by the unbounded lust for profits of unchecked big business (in this case the colossal packaging and petrochemicals industries), and Wales’ contribution to the 120,000,000,000 plastic bags produced world-wide each year is negligible; but every little helps, and there can be pride that our little country, the only one in the world with sustainability written into its constitution, is at least taking a step in the right direction that might encourage others to follow. 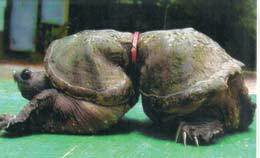 Ireland introduced a similar charge in 2002 and the amount of plastic bags in circulation there has been cut by 75%. Price incentives are a tried and trusted way to change entrenched habits, and the beauty of this charge is that you need never pay it so long as you do what everyone did as a matter of course prior to the invention of the plastic carrier bag in 1957: take a reusable bag with you when you go shopping. There will be no revenue for Wales from the charge, since Wales is not considered grown-up enough to run its own finances and does not have an exchequer, however shops are obliged to put the money collected into community and environmental enhancement projects. But this scheme can only hope to tinker at the edges of the plastic problem. It does not cover 80% of the plastics used once and then chucked away in Wales: the wrapping, packing and boxing encasing virtually every product. To deal with that, Wales would need the powers to take on the vested interests and brute muscle of the supermarkets, not to mention the drink, fast food, advertising and packaging industries, and Carwyn Jones’ government would need to rouse itself from the Land of Nod it has been snoozing in since being elected in May. Nor will the scheme bring quick, tangible improvements to the Welsh environment. Even if no more plastic bags were ever issued in Wales it would take years to eliminate the vast stocks crammed into drawers, cupboards, sheds and holding sacks in homes across Wales. 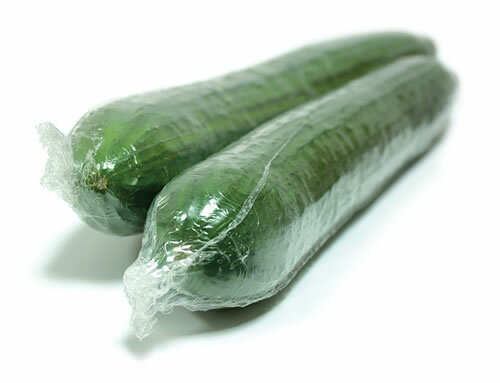 Since when did cucumbers have to be shrink-wrapped in cling film? The danger for infant Welsh governance is that partial devolution has left the Assembly with responsibility minus power; the polar opposite of the UK government, which has power over Wales without responsibility. This inevitably tempts Cardiff governments to resort to gesture politics, worthy but superficial, taking the easy option of regulating individuals rather than the tougher task of regulating the corporate monsters that are destroying our one and only planet. For the scheme to be effective it will need people’s long-term support and co-operation, and that will only be forthcoming if the real culprits are not let off the hook. There are now five continent-sized islands of plastic floating in the Pacific, Atlantic and Indian oceans, immeasurably huge and indestructible areas of marine debris brought together by vortex currents. 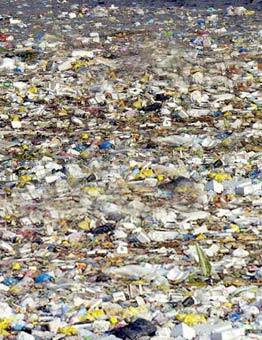 The ‘Great Pacific Garbage Patch’ alone is twice the size of the USA, and this is just on the surface: 90% of plastics sink to the ocean floor. 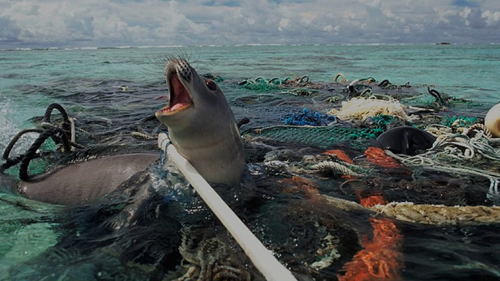 Our oceans are being turned into an uninhabitable plastic soup with alarming speed. Wales can do nothing to reverse this catastrophe until we take our place among the free and equal nations of the Earth; for now we must settle for being a small but insistent voice of sanity in a world gone mad. Warning: the following pictures are deeply upsetting; those of a sensitive disposition look away now.